These adjustable folding walking sticks are quick and simple to use. By simply releasing the stick, it snaps open into a rigid aluminium support stick. With a slight twist and pull it can be easily folded back into its plastic wallet. 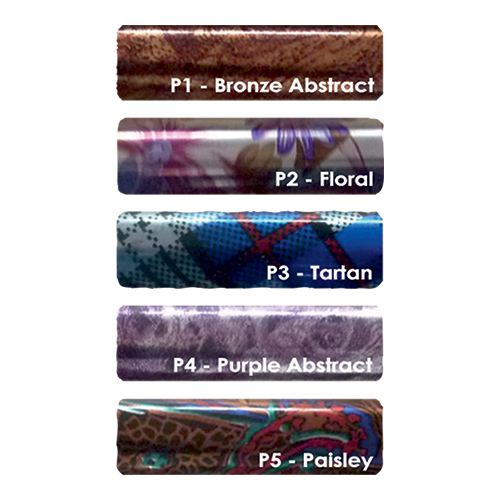 -- Please Select --Floral 29-33"Floral 33-37"Paisley 29-33"Paisley 33-37"Purple Abstract 29-33"Purple Abstract 33-37"Bronze Abstract 29-33"Bronze Abstract 33-37"Tartan 33-37"
These adjustable folding walking sticks are quick and simple to use. By simply releasing the stick, it snaps open into a rigid aluminium support stick. With a slight twist and pull it can be easily folded back into its plastic wallet. Elegant `T` shape wooden handle supplied with a fitted black wrist strap. The anodized aluminium shaft is available in two adjustable sizes. Adjustable length in 5 steps via push button in 1" increments. When you have slackened the cap nut, press the push button into the tube and adjust the lower part of the tube to the length you require. Secure the cap nut again. They are lightweight, easy to use and fold away smartly into four easily managed sections for convenient storage when not in use. 19mm natural rubber suction cap that keeps its elasticity even in the cold. Available in: Bronze Abstract, Floral, Tartan, Purple Abstract and Paisley. Available in: 29-33" and 33-37".